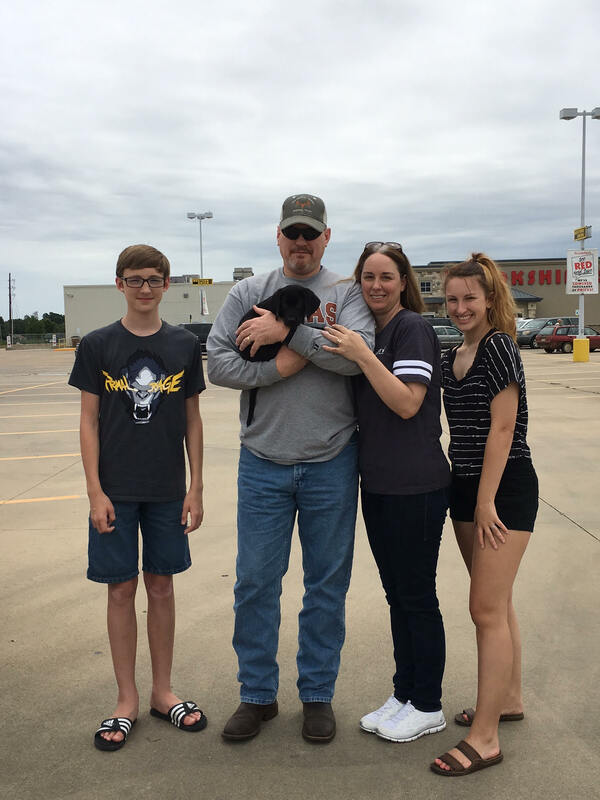 Leash Up Program – OATH, Inc.
Our Leash Up Program has been a blessing to so many lives. This program sees us pair some wonderful dogs with our OATH Registered Veterans. Time and time again, studies and research have proven that the impact that a dog can have on a person can be life changing. Now, make that person a veteran that might have trouble sleeping at night or suffers from PTSD and / or TBI or might suffer from some level of social anxiety, and with the addition of a loving and caring companion, you’ve got a game changing catalyst that will inevitably improve the quality of life for that aforementioned veteran. This program is incredibly important to us, because most all of our OATH leadership are veterans, and most all of them are dog owners, dog lovers, and dog benefactors, and we ourselves have experienced firsthand the tremendous positive impact from having a loving companion. As this program continues to grow and to flourish, we are hoping to see many more partnerships come to fruition where we can hopefully place more dogs with our OATH Registered Veterans, but also provide resources to these families to ensure the puppy is well taken care of: food vouchers, supplies vouchers, additional training all fall beneath the realm of these possibilities. Please join us in nurturing this program into something that will continue to be life changing for so many folks. Perhaps you are a dog breeder that wold like to become part of this program and see some of your puppies placed with some of our OATH Registered Veterans. Please, contact us, and let us know. We’d love to work with you and get these dogs into some amazing “forever homes” ! In the same sense, perhaps you are a veterinarian that is interested and helping these veterans properly care for their dogs through the donation of some “checkup visits” to your office. That would be very much welcomed, and we encourage you to please contact us, as well. Caring for these dogs is very important to us and to our OATH Registered Veterans, and we’d be very appreciative of your support. From a training standpoint, perhaps you have extensive ability in training dogs, whether to serve in a service dog capacity or to serve as competent bird hunting dogs or just general obedience training. 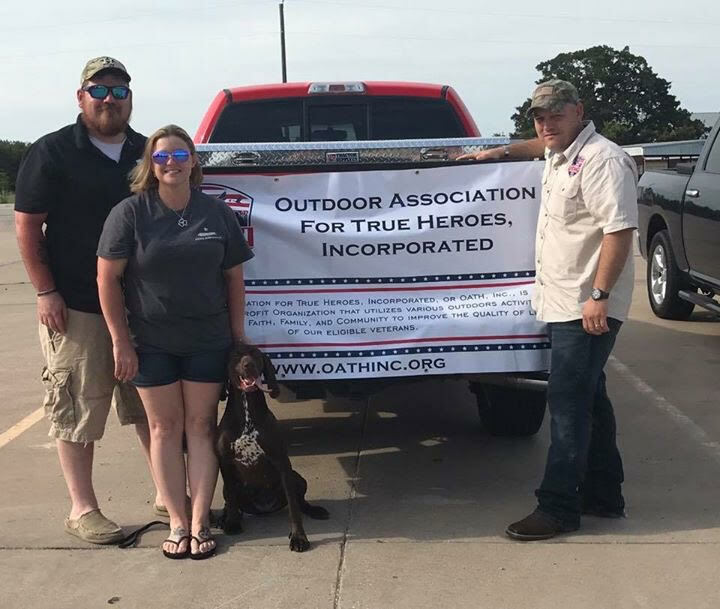 If you are of the mindset that you’d like to support these OATH Registered Veterans with some amazing training for their newest family member, please contact us. The training of such quality animals can be very beneficial not only to the dog, but also for that dog’s new family. We’d be absolutely humbled if you’d like to work with us to provide said training. Finally, perhaps you are in the position, whether through your own employment or through a acquaintance’s employment, to offer vouchers or support of some sort to help the OATH Registered Veteran with things like dog food, dog toys, or various other types of supplies. These are all things that a healthy dog requires, and we very much welcome any such help we can muster. If you are in a position to help us in this capacity, please contact us, and we can work together on these endeavors. For those folks wishing to donate funds to ensure that the Leash Up Program continues to flourish, you can donate via the PayPal link below. Once you donate online, you will immediately receive an online donation receipt for your tax records. If you prefer to not donate online and would rather send a check or money order, you may do so by sending your donation to the address shown below. Please ensure that you write “Leash Up Program” in the memo section. 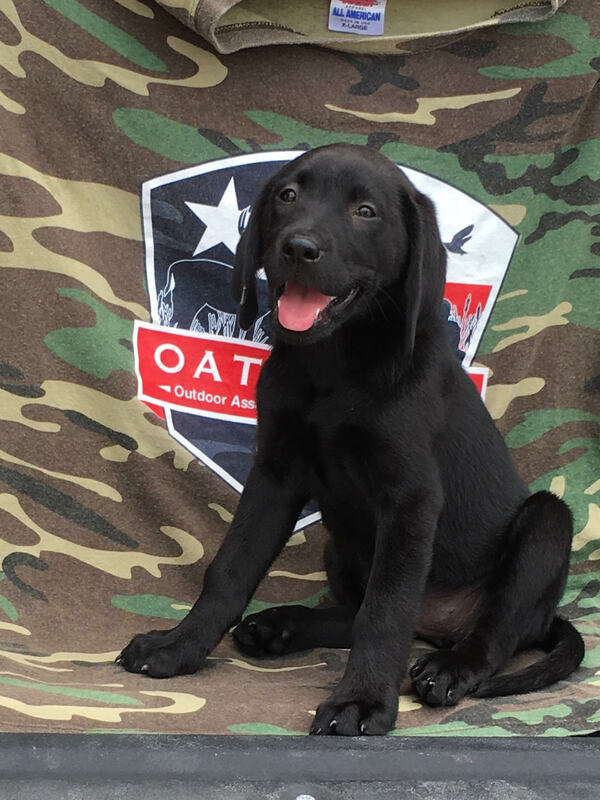 ***OATH may choose to help an OATH Registered Veteran with the veterinary bills associated with their dogs. To be eligible for the veterinary health benefit, the dog must be trained by an organization accredited by Assistance Dogs International in accordance with VA regulations.